Home 2010 Gift Received 2010 Team Christmas Party christmas gift colorful notepad gifts Kris-Kringle mini-calendar notepad planner The First Gift I Got This Christmas! It's too early for Christmas though we're already on the yuletide season! One of my officemates was an early bird in giving Christmas gifts! Last Friday, before our team Christmas party and Kris-Kringle, she was the very first one to give Christmas gifts to all her teammates. And here's what she had given to me! 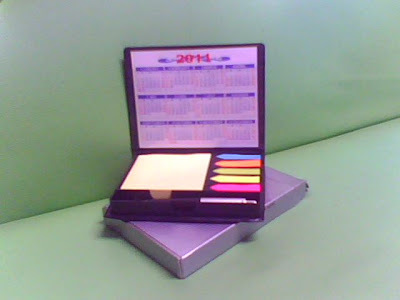 Yup, it's a stick-on notepad of different sizes and of different colors inside a planner case with a mini-calendar! All the boys in our team received that kind of gift. I don't know what the girls received! 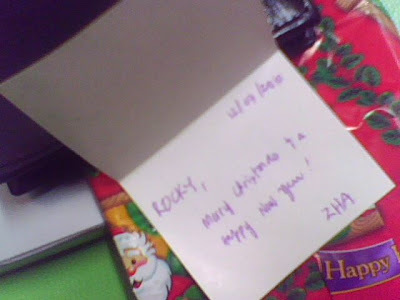 Actually my officemate who gave me this kind of gift was also the one who gave me the puppy inside the Blue Magic bag! On the same day last week, I received two gifts from her!